The first product which I'm pretty sure I've talked about before in favourites post and used in tutorials is this Maybelline BB cream. 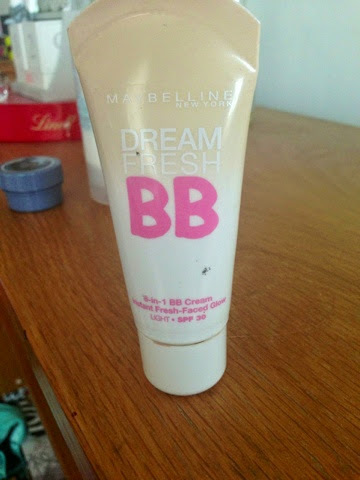 I've been using this BB cream a lot lately because it contains SPF in it which will help protect my skin from the sun. 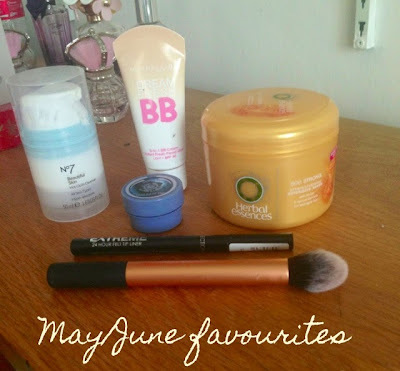 Usually I only wear concealer and powder for coverage, however now it's summer and weather is warmer, I've turned to this product frequently as part of my base makeup. The product itself is extremely light yet gives a lovely radiant glow to the skin, making it perfect for a dewy look. I absolutely love it and would recommend it to anyone who wants to try out a new BB cream. The next product is a felt tip liner by collection. I used to use this liner all the time when I first got into winged liner but then went and tried out different liners to see how they worked. 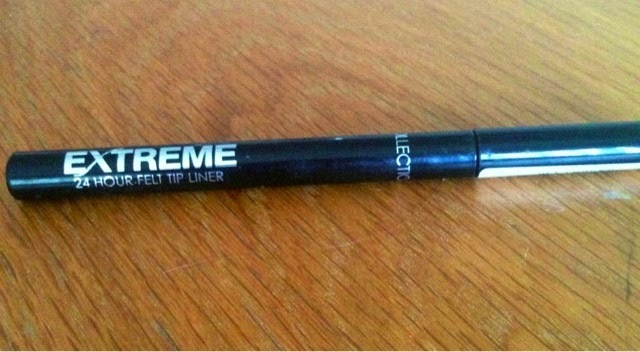 The other month I ran out of my other eye liner so picked this up and for the small price of £3! It's great with the easy application and the colour it gives. The only down side is it isn't waterproof meaning if my eyes water it will begin to rub off. However it still lasts a long time and does the job for the price is costs. 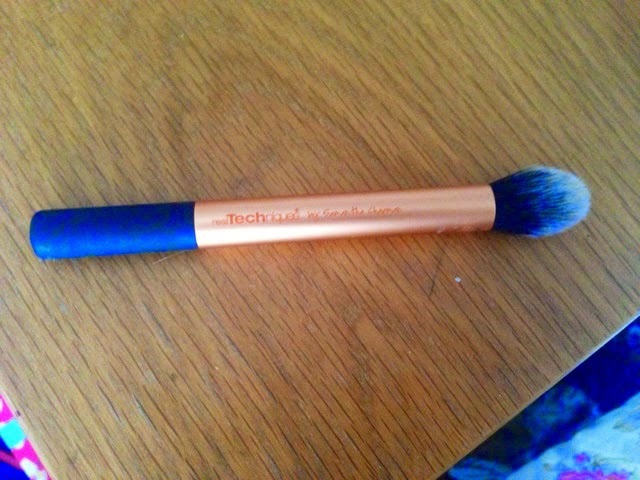 The next product is the real techniques contour brush. I've been really enjoying using this lately to blend my under eye concealer. It's the perfect size to fit the area under the eyes and blends in really easily. Also it's such a soft brush meaning its not to harsh on a sensitive area of the face. Even though I love it to contour with too, I prefer using it as a concealer brush. 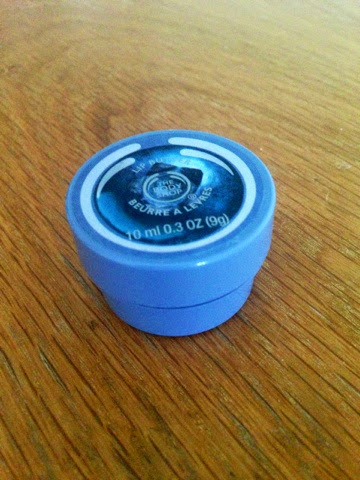 The next product is a blueberry lip butter by the body shop. I've been using this every night before I go to bed to moisturise my lips. First of all I have to say its has the most beautiful smell, one of the reasons I bought it! The smell makes you want to eat it! The consistency is very creamy and it's lovely when applied to the lips, another favourite of mine from The Body Shop. 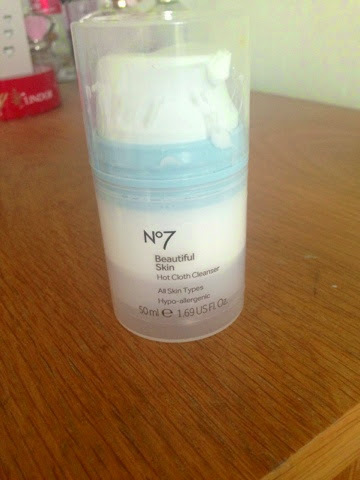 The next product is a No7 cleanser. I've been using this for the past couple of weeks and I've fallen in love with it. To apply you rub it in the cleanser in circular motions then hold a warm muslin cloth over your face to open up the pores and wipe the rest of the cleanser away. When taken off it leaves the skin feeling fresh and cleaned. It has a lovely smell but isn't too perfumed as the product is really gentle on the skin. As it was the first hot cloth cleanser I've tried I'm really impressed! The last product is a herbal essences hair mask. I've been using this for a while now and put it on once or twice a week. After rinsing when it's been left on for five minutes, my hair feels really silky and shiny as well as having a lovely smell. The consistency is like a thick conditioner and has made a difference to my hair. 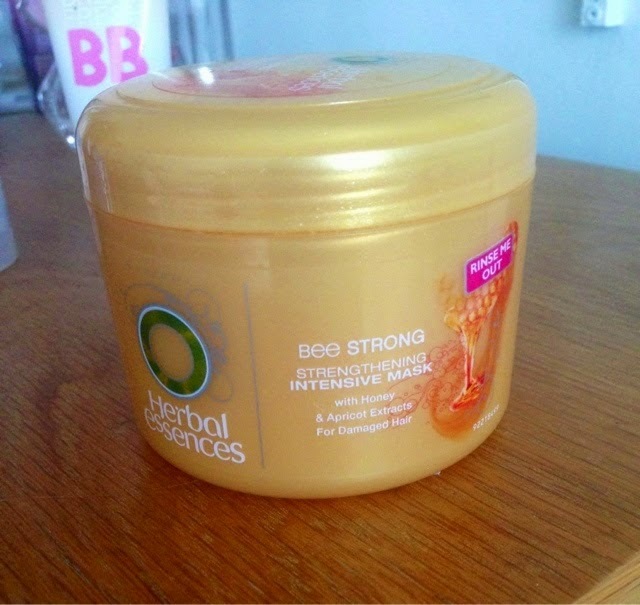 When I've used this the results make my hair look a lot silkier and healthier. 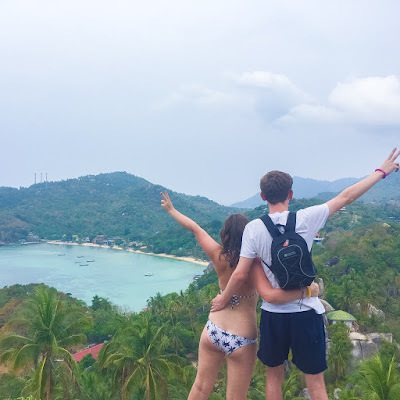 That was all my favourites I hope you enjoyed! Omg I'm exactly the same used to use that brush first too! I've been loving that contour brush as well!